I wish to dedicate this year in creating a safer society through sports. Help me, Help them. THE PROBLEM: Children growing up in slums and low income families of the mega Indian cities live in poverty next to pockets of luxury and economic prosperity and face constant abuse, neglect and severe lack of basic resources. This situation in the divided and callous socio-economic society has given rise to two new inter-connected evils which were relatively unknown to the Indian society - Guns and Drugs. OUR SOLUTION: Child and Youth Development program uses Football as a tool for social development and change across Delhi. The program aims at empowering children and youth with various life & social skills by engaging them in a fun and healthy lifestyle away from crime, abuse, drugs and exploitation under the protection & guidance of the Delhi police. 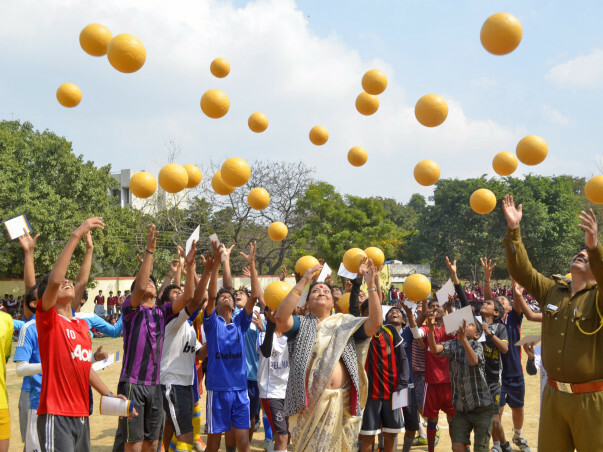 TheFootballLink Trust currently support 600+ underprivileged children across CYDP Community Football centers at Vikaspuri, C.R Park, Madhu Vihar and Malviya Nagar. In addition to the 4 operational centers, we aim to start five more centers catering to 1000+ children in the next 6 months. DONATE FOR A CHANGE: This program is based on active support by parents, government and the community to build a safe and progressive environment for our next generation. # INR 7,500 rupees ensures a child will undergo a thorough medical checkup, receive food packets post coaching sessions along with 2 Football kits and Football shoes.